Our clients often inquire as to the relevance of surveys in their real estate transactions. This post will discuss what a survey accomplishes and why our attorneys recommend that their purchasing clients obtain one, even if they are not obtaining a loan. In this context, we will be discussing the standard land survey, one that identifies such items as structures, fences and easements. A survey is prepared by a licensed surveyor who will visit the property under contract with documents provided such as a prior survey, deed and the like. The surveyor will have special instruments that are installed on a tripod, measuring tape and other types of equipment. The goal is to measure and describe precisely the property to be conveyed in the intended transaction. In Westchester County, New York , property deeds are indexed and recorded primarily by previously assigned block and lot numbers with a property description (known as Schedule A) attached to the Deed. Our readers may be familiar with the standard Schedule A language, beginning at the point of x, continuing a particular number of feet to y and ending at z. In order to accurately draft the property description for current conditions, the surveyor needs to visit the property and take measurements of the property lines as exists today. As such, an old property description may potentially be inaccurate. An experienced attorney representing a buyer will want a survey to be done to make sure that the description is accurate on the deed being conveyed. 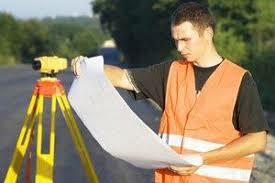 Surveyors also identify any structure built on or within the property lines. A buyer’s attorney should make sure that any structure is properly permitted, if required by the relevant municipality. For instance, a house should have a certificate of occupancy or a “pre-date” letter confirming that the town did not require such a document when it was built. Is a shed or deck on the property? If so, this may also require a permit in order to be legal. A buyer’s attorney will want to make sure that the seller has obtained any necessary documents for these structures. Surveys give clues that permits may be needed. Fences are another issue commonly located by surveyors. The buyer’s attorney will be interested to know whether the fence is on the property line or if the proposed buyer may potentially be out of possession of a portion of the parcel to be conveyed due to the inaccurate placement of the fence. A seller may claim that he did nothing affecting the property line during his period of ownership. However, his neighbor may have installed a stone wall and blocked off a portion of his property that the surveyor would uncover. As such, surveys identify potential title issues that should be resolved before the closing occurs. If a surveyor has a prior legible survey, he can update it at lower cost to the buyer than it would cost to prepare a new survey. It is a widely held misconception that the town’s building department or other public place stores prior surveys. Surveys are prepared on behalf of the seller and should be maintained by the seller. However, if the property has been held for decades, perhaps by another generation in the seller’s family, it is common that the survey has been lost or was not done. If the survey is available, the seller should make it available as a courtesy to the buyer’s attorney. As an alternative, if one knows the name and title number of the company used when the seller purchased, that title company may be able to locate the survey to be updated in its files. Our attorneys are well-equipped to review and resolve any survey and title issues that may be encountered by their real estate clients.